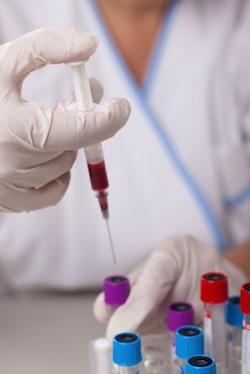 Studies have indicated a possible connection between blood homocysteine levels and unexplained recurrent pregnancy loss (URPL). It has also been noted that methylenetetrahydrofolate reductase polymorphisms (MTHFR) are a common hereditary link in people exhibiting high-level blood homocysteine. Researchers from the Laboratory of Contraception and Devices in Shanghai recently completed a study published in the journal Gene on the possible connection between MTHFR and URPL. Researchers used meta-analysis to determine a link between the C677T and A1298C MTHFR polymorphisms and URPL. Tests were completed on 3,559 women who’d experienced URPL and 5,097 controls. Conclusion: A significant increase in URPL was noted in women with a high concentration of C677T MTHFR polymorphisms, but no such connection was found between A1289C and URPL. Source: Cao Y, Xu J, Zhang Z, Huang X, Zhang A, Wang J, Zheng Q, Fu L, Du J. Association study between methylenetetrahydrofolate reductase polymorphisms and unexplained recurrent pregnancy loss: A meta-analysis. Gene. 2013 Feb 10;514(2):105-11. doi: 10.1016/j.gene.2012.10.091. Epub 2012 Nov 29.